29 October 2010: In early 2009 a team of astronauts visited Hubble and, as part of their mission, installed a new camera: the WFC3. 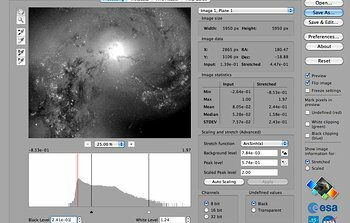 As well as providing scientists with higher resolution observations than ever before, the pictures provided by WFC3 are among Hubble’s prettiest yet. This episode of the Hubblecast looks at the science behind this instrument, including how it is helping Hubble to see the invisible, look far back in time and spot objects further away from us than those seen by any other telescope in history. 27 September 2010: Today’s telescopes study the sky across the electromagnetic spectrum. Each part of the spectrum tells us different things about the Universe, giving us more pieces of the cosmic jigsaw puzzle. The most powerful telescopes on the ground and in space have joined forces over the last decade in a unique observing campaign, known as the Great Observatories Origins Deep Survey, or GOODS, which reaches across the spectrum and deep back into cosmic time. In a very special “multicast” video podcast, the Hubblecast has joined forces with the ESOcast, the Spitzer Space Telescope’s “Hidden Universe”, and the Chandra X-ray Observatory’s “Beautiful Universe” podcasts. 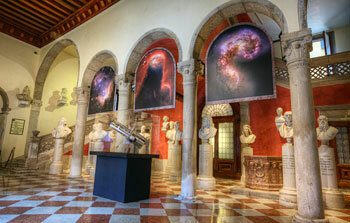 Here we explore the collaboration of these great observatories on the GOODS project. 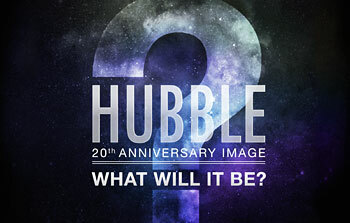 30 June 2010: We are still celebrating Hubble’s 20th anniversary! Are you? 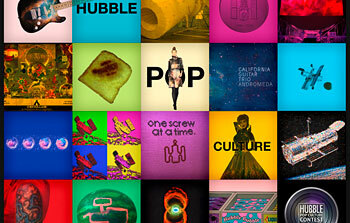 Show us what traces of Hubble’s influence you have found in pop culture. For the past 20 years the Hubble Space Telescope has brought you the most breathtaking images of the Universe. Now it’s your turn to look for astonishing examples of Hubble pictures, or pictures of Hubble, used in unexpected places. 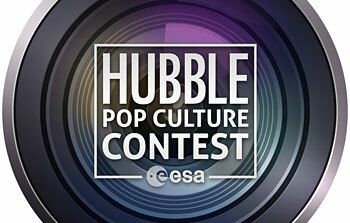 ESA/Hubble challenges you to discover examples of Hubble in pop culture, take a picture of them and submit them together with a caption to the Hubble Pop Culture Competition. Have you seen a CD cover that features a beautiful Hubble image? A Hubble-inspired tattoo? Let us know! We will award prizes for the most artistic, the weirdest, the funniest, the largest and the smallest entries, including: iPod Touches, books, DVDs, posters and more. Keep uploading pictures until 31 July 2010. 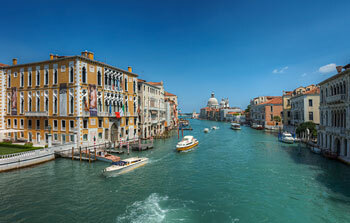 For complete rules and regulations, see the official webpage. 22 June 2010: This Hubblecast features a spectacular new NASA/ESA Hubble Space Telescope image — one of the largest ever released of a star-forming region. It highlights N11, part of a complex network of gas clouds and star clusters within our neighbouring galaxy, the Large Magellanic Cloud. This region of energetic star formation is one of the most active in the nearby Universe. Join in the Hubble Pop Culture Contest! 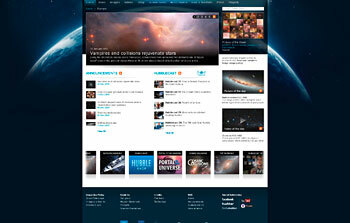 Hubble’s European website gets a facelift! 15 April 2010: Gearing up for the 20th anniversary of the legendary space observatory, Dr. J takes a look at the story of the NASA/ESA Hubble Space Telescope. 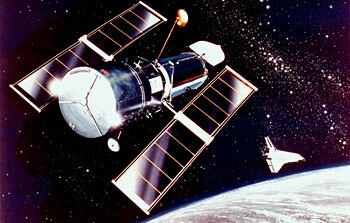 Born of an ambitious idea, it took decades for Hubble to become a reality. The project was complex and often faced huge setbacks but, ultimately, the powerful telescope took to the skies aboard the Space Shuttle Discovery on 24 April 1990. Look back through the decades with this – the first of two special Hubble 20th anniversary Hubblecasts. And stay tuned for the next anniversary Hubblecast. 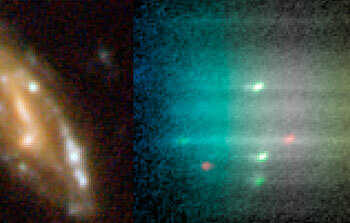 5 March 2010: This April will mark 20 years in orbit for the NASA/ESA Hubble Space Telescope! In honour of this incredible milestone, ESA, along with American partners NASA and the Space Telescope Science Institute (STScI) will offer a limited number of high-quality large Hubble prints to selected European science centres and planetariums. Click on the link below for more information and to sign up for this exciting opportunity.